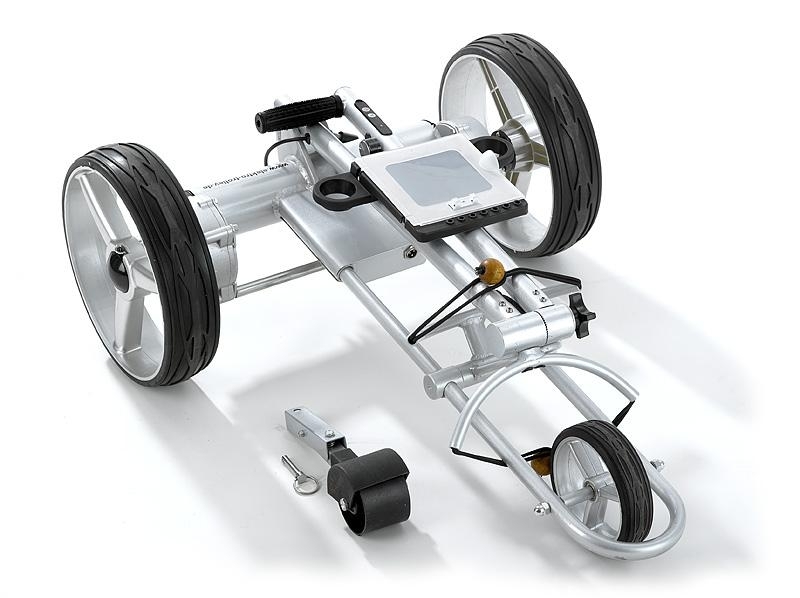 Remote control golf trolley could be operated by remote handset in about 50 meters away. Let you have the children’s fun to play the toy- remote racing car which is your remote control golf trolley. Upward, backward, left, right, just pressing your handset button, how easy it is? 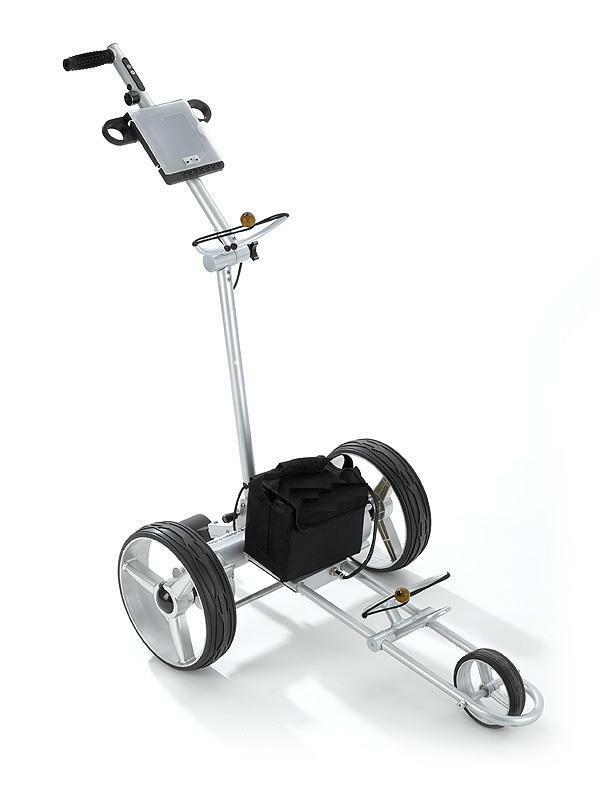 Golf trolley light weight, aluminum frame. 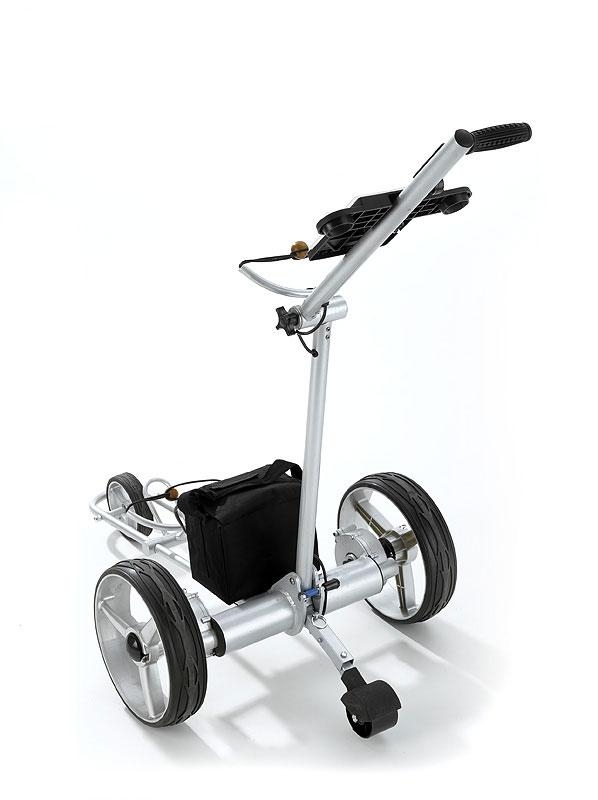 Stable Z shape golf trolley structure, easy to fold, unfold and store. 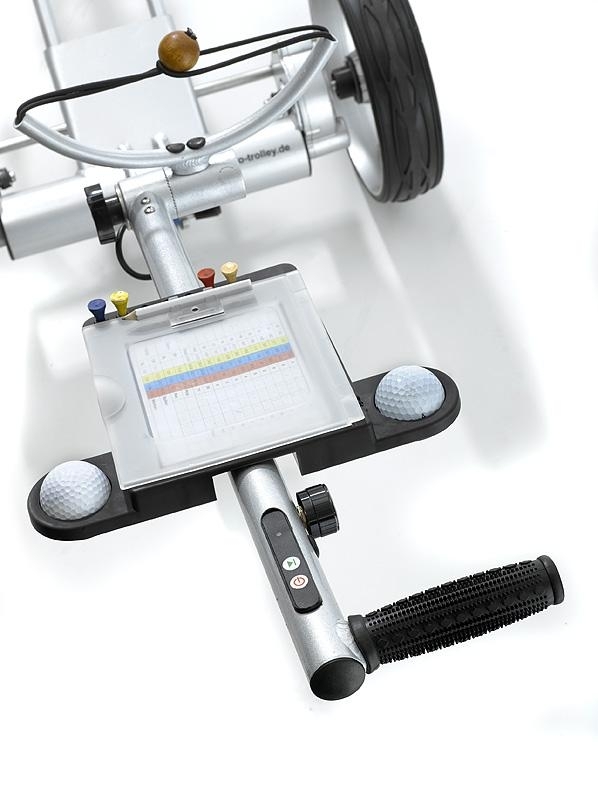 Unqiue speed golf trolley memory function. 150 meters remote control golf trolley distance.